I was in field in evening and just returned home. found quite a few more leopards geckos and saw scaled vipers today. I will ask my friend he knows few good guides and resorts to stay in wayanad. I have contacts for Munnar but there finding snakes is really hard but frogs are whole another story. That 2nd butterfly looks like a Painted lady. generally prefer the animals to move on their own. dont mind waiting and stopping traffic till animals move out of danger. Here is one of my favourite lizard in situ. I didn't take habitat shot as they are collected illegally for pet trade. In western ghats just after the onset of monsoons caecilians are fairly easy to find. As the ground gets saturated in water they emerge on surface for the 3 months of monsoons. During post monsoon period(late Aug to Mid Sept) one has to turn rocks and check under leaf litter for the caecilians. awesome finds and great pics. that xenodermus is awesome. excellent finds, really jealous about the Lycodon jara and Oligodon albocinctus. looks like I will have to make a trip to N-E India soon. Can't tell the iD based on that, even if the country of origin were to be known it would help a lot in identifying atleast the genus of that frog. Can you please mention the country of origin of said plant? Also a clearer picture would help a lot. Done also shared with my friends. Topic: A few snakes from Selangor and Pahang. Re: A few snakes from Selangor and Pahang. Excellent pics. especially those pit viper pics. Anytime during monsoons in 24 hrs I can easily find atleast 30 species of herps here in western ghats. Even my last trip in Amboli barely 2 weeks back was a very successful one. That is impressive number of Chameleons, I rarely get to see 1-2 of Indian Chameleons while herping. During onset of monsoons, I know few places in Sahyadris which can easily top this off. Apart from large number of A. nasutas, I get to see large numbers of bamboo pit vipers(T. gramineus) here. Nice finds by the way especially the mating one. 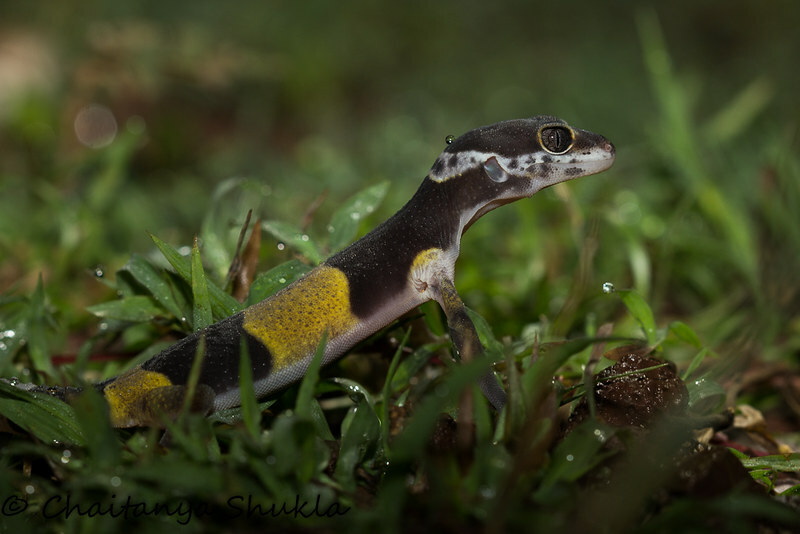 Here is the video of Pied Bellied shieldtail feeding on an earthworm from Amboli. My most significant finding for 2015(didn't photograph as it was too dark and didn't carry a camera with me), was from today: saw the first hyena of year(on outskirts of my city) and porcupine. Also while on my way back saw a Montagu's harrier trying to hunt down a crow which was quite unusual.